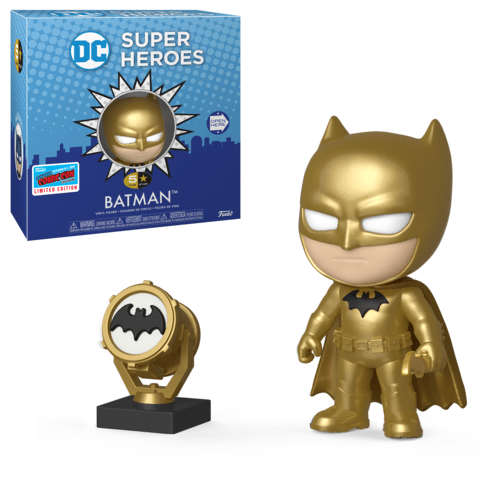 Funko is dropping a lot of DC Comics products for NYCC 2018. Wave 1 is your DC fix. The first release wave for New York Comicon 2018 has been announced by Funko today (9/17/2018) and they started off in a very appropriate for a comic book convention. Wave 1 is a offering of DC Comics figures. 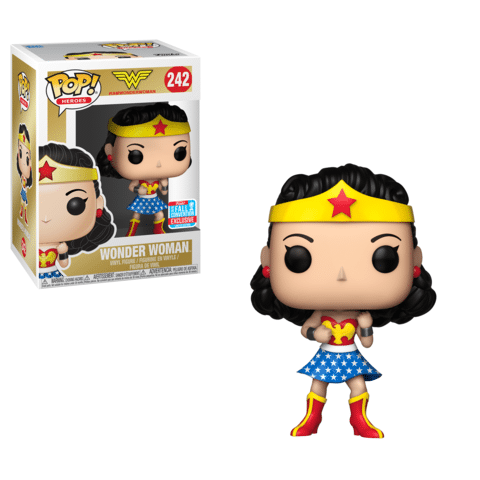 These include Arthur Curry from the Aquaman movie (Jason Mamoa), the 1st appearance Wonder Woman (golden age comics), The Flash and Superman racing 2-pack, a chrome Superman 3-pack, 2 Funko Five Star Batman figures. We start of with Arthur Curry, the alter ego of Aquaman. 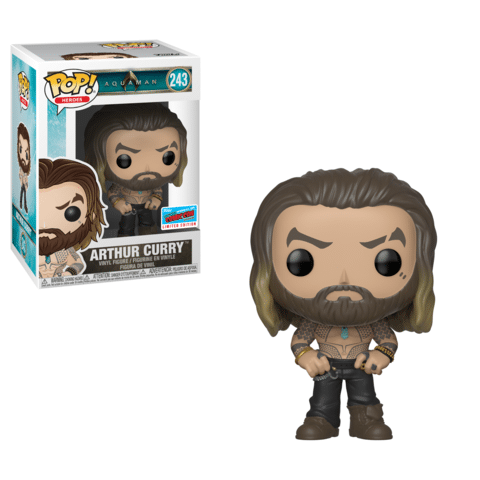 Aquaman has been a reoccurring figure for Funko and NYCC and this year it’s no different. This will be a shared exclusive with Hot Topic. Wonder Woman has come in so many different versions and variants over the years. Not only from Funko but also in the comics. This year at NYCC Wonder Woman is available in her First Appearance design. This will be a shared exclusive with Hot Topic. 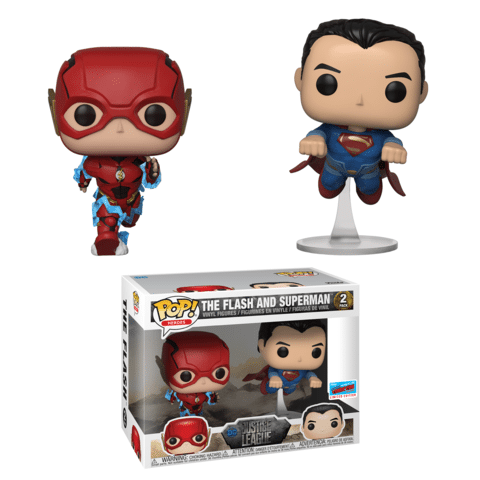 Funko is still pushing the Justice League movie to us collectors. They need to take full advantage of the license. At least these 2 are awesome uses of the movie characters. The only thing that would have made this set better would have been to use comic inspired characters. 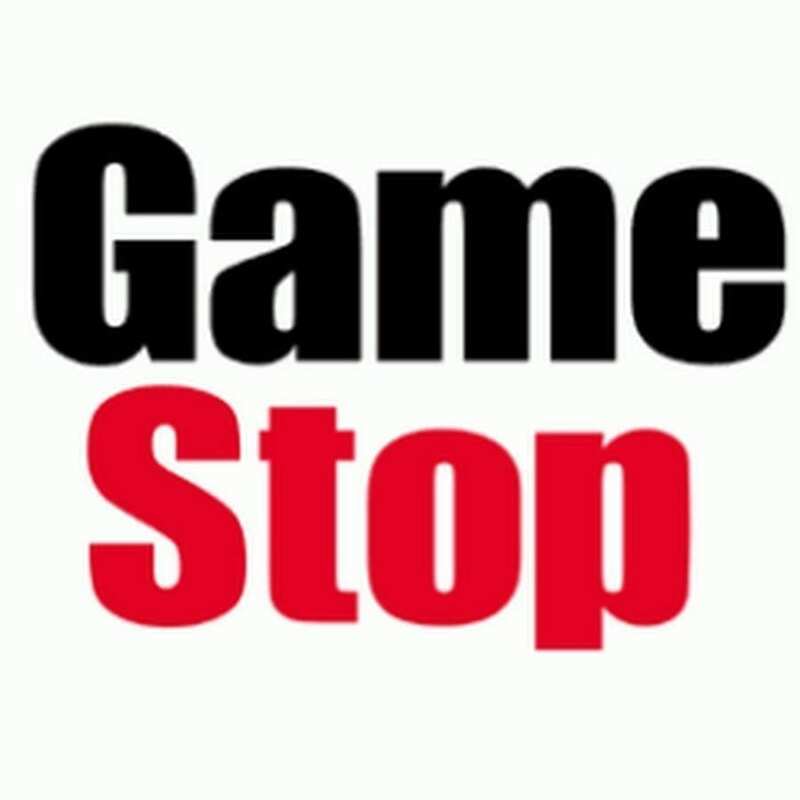 This will be a shared exclusive with GameStop and EB Games in Canada. This style of 3-pack could be the new standard for comicons. At Emerald City we had the Flash chrome 3-pack. At San Diego there was a Wonder Woman version. Now we get the Superman equivalent. 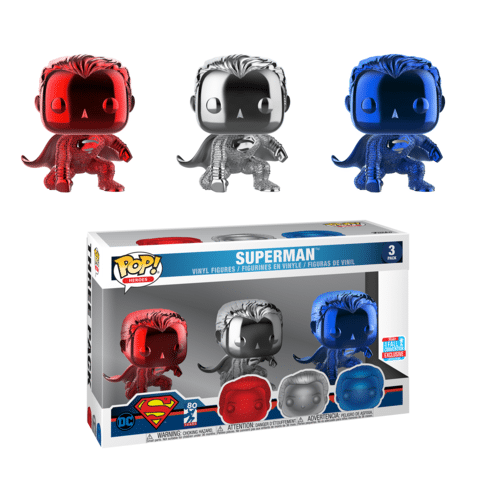 We aren’t 100% sure why we keep getting these as releases, but we are sure that Superman fans will love it. This will be a shared exclusive with FYE. With Funko’s recent release of the 5 Star line, it is expected that you will see at least a few exclusives. 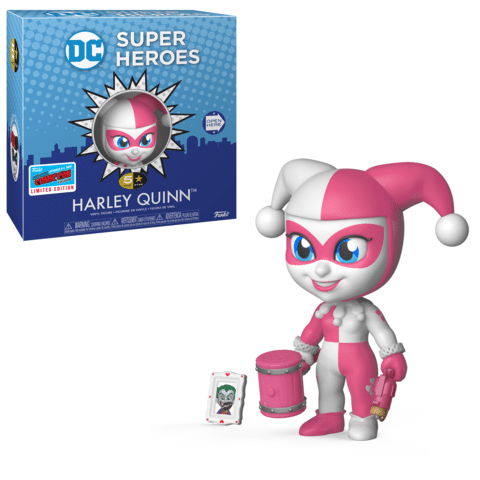 At New York Comicon we will see the release of a gold Batman and a Pink Harley Quinn. 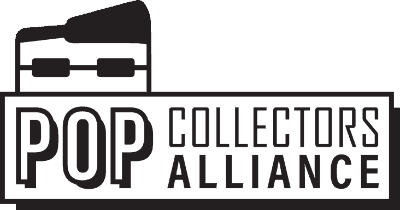 For more coverage of New York Comicon 2018, make sure to follow the Pop Collectors Alliance on Facebook, Instagram, and Twitter. See you in New York and HAPPY COLLECTING!